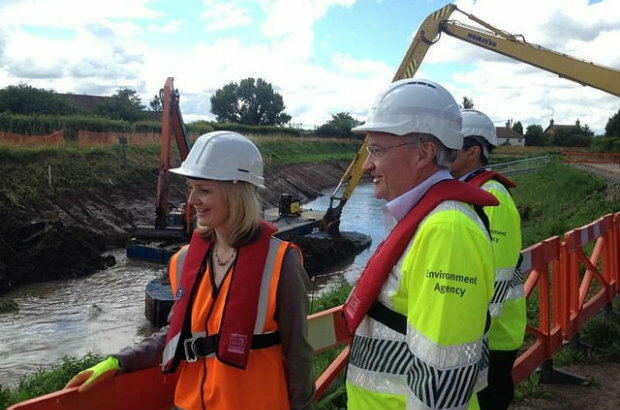 This is my last blog post as Chief Executive of the Environment Agency. It has been a great privilege to lead such a capable and committed organisation working to protect and improve the environment for people and wildlife. I am really proud of how much we have achieved together. I joined the Environment Agency 17 years ago because of my passion for the environment. I’d seen how environmental legislation worked in over 30 countries. I wanted to use my industry experience to improve the regulatory process. Through better regulation we are still protecting people and the environment, but at lower cost to business and with less bureaucracy. Other countries are now learning from us as we learnt from them. As I come to the end of my tenure, it is really good to reflect on and celebrate the reductions in discharges to water and emissions to air that have been achieved. The quality of air and water has improved, flood risk has been reduced and resources better managed. Fish have returned to rivers where they have not been seen since the industrial revolution. Otters and water voles are now present in all English counties. Achievements such as these benefit people’s health and to the health and diversity of wildlife. It is a reminder of the important role we have to play. And of course we recognize there is still much to do. One of the biggest challenges of my time here has been dealing with the impacts of the weather. Extreme weather does happen, but I have seen so many ‘once in a lifetime’ events, such as the east coast surge, the drought in 2012 and the wettest winter on record in 2013. The flooding that followed was devastating to those affected. More than 7,000 properties were flooded, but 1.4 million properties were protected. The subsequent repair and recovery programme closely demonstrated the capability and commitment of our staff as they worked on over 800 projects to restore protection to 200,000 households. This was a phenomenal achievement. Throughout my 17 years at the Environment Agency and over 7 years as CEO, I have had the benefit of working with immensely capable and committed people who share the goal of creating a better place for people and wildlife. I don’t describe my time in terms of highs and lows, it has been a journey which I have enjoyed immensely. I have had a great Executive Directors’ team supporting me throughout my time here. We have also seen the tangible benefits continuing to develop a working environment where individuals are respected and valued and where they can be themselves and all expressions of diversity are encouraged. But clearly there is still more to do. As I leave the Environment Agency I will continue my work on creating a better place for people and wildlife including a professorship at Cranfield. David Rooke, Executive Director of Flood and Coastal Risk Management, will, for the interim period, lead the Environment Agency until a permanent successor is appointed. I know that you will support David in the way you have supported me. I have a huge affection for people in the Environment Agency, with their passion and commitment to protect and improve the environment for people and wildlife. People in England, and the environment itself, depend on the Environment Agency doing its job. That is why I joined, what kept me going throughout and what will continue after I have left.